Courtesy of Doug Woodring, Ocean Recovery Alliance, Hong Kong. Normally, Doug Woodring of Ocean Recovery Alliance focuses his efforts on combining new ways of thinking, technologies, creativity and collaborations in order to help to improve the ocean environment - and organizing open water events such as the 15 km Cold Half Extreme Marathon Swim, the 1.5 km Cold Plunge, the 15 km Clean Half Extreme Marathon Swim, 2.2 km Sheko Challenge Swim (plus a 8.5 km run, 9 km paddle, 600m swim), the Repulse Bay Triple (300m + 600m + 900m sea swims), and the 200m, 400m, 1 km Community Chest Wheelock Swim for Millions, the Hong Kong Ocean in Motion Film Festival, and the Plasticity Forum. But after receiving the Prince’s Prize for Innovative Philanthropy by Prince Albert of Monaco this year, Woodring creative juices continued to flow. He established the ATIR Global Erg Challenge, was recently awarded the coveted Prince’s Prize for Innovative Philanthropy by Prince Albert of Monaco. The ATIR Global Erg Challenge combines a rowing competition both on land and in the sea to raise funds to address plastic pollution and maintain the health of the oceans. He explains the Ocean Recovery Alliance event, "For over 150 years, sailboats have been racing around Hong Kong Island, and for well over a century, rowers have been competing as well. For the first time, technology allows rowers and paddlers anywhere in the world to compete with the best rowers in Hong Kong via Erg machines and KinoMap video and mapping software. In collaboration with the Royal Hong Kong Yacht Club, the 45 km 2018 ATIR Global Erg Challenge will be held between November 17th - 28th where rowers and paddlers around the world will be able to record times in the ATIR Global Erg Challenge, not only to compete against teams from other countries, but also to raise funds for the protection of the ocean." 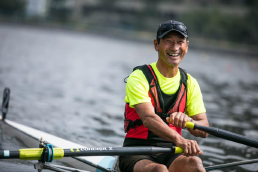 Race categories include Men’s, Women’s, Mixed, High School, University, Corporate, Open, Solo, 2s, 4s, 8s; or with paddle adapter – solo, 2-man, 6-man (outrigger), 10-man (dragon boat); and C2s. Competitors can record their times between November 17th - 28th, and using KinoMap, on race day, December 2nd, every team’s avatar will appear on the 'live' results map, revealing the global competition winners. 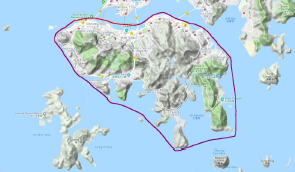 KinoMap technology allows competitors to view the actual course scenery as they row, experiencing the beautiful shoreline, amazing skylines and incredible waters of Hong Kong. For more information, visit www.globalergchallenge.org. Virtual competitive swims are also expanding throughout the world; technology is an athletic and charity event enabler.